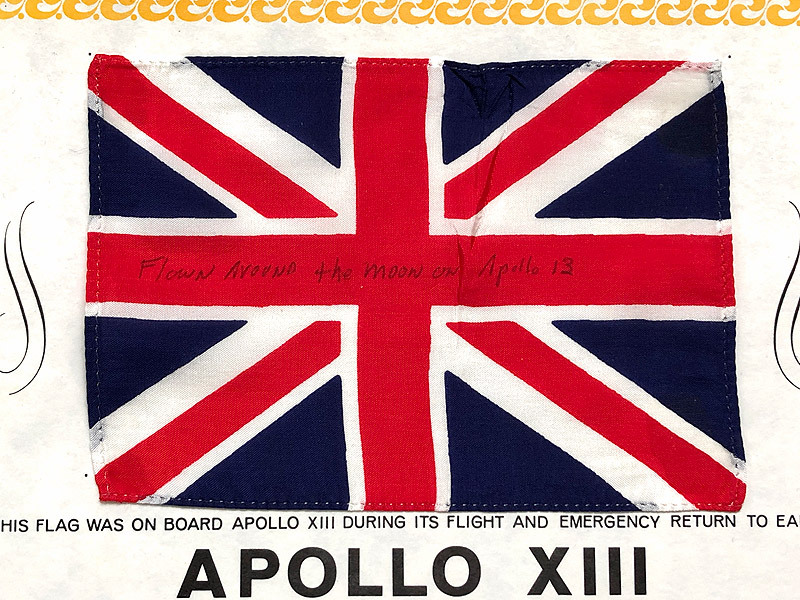 ill-fated Apollo 13 Mission in April 1970. 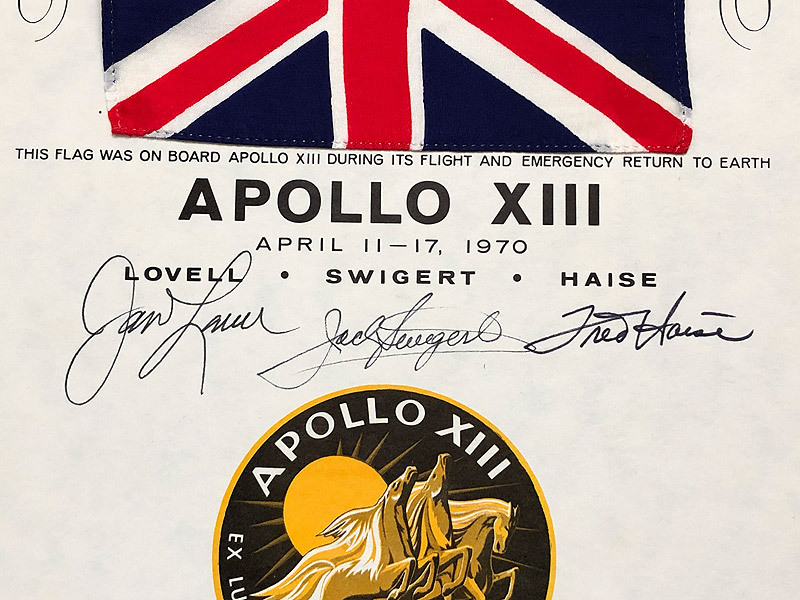 This flag came from the personal collection of Apollo 13 Commander, Jim Lovell, and he has inscribed the flag, "Flown Around the Moon On Apollo 13". 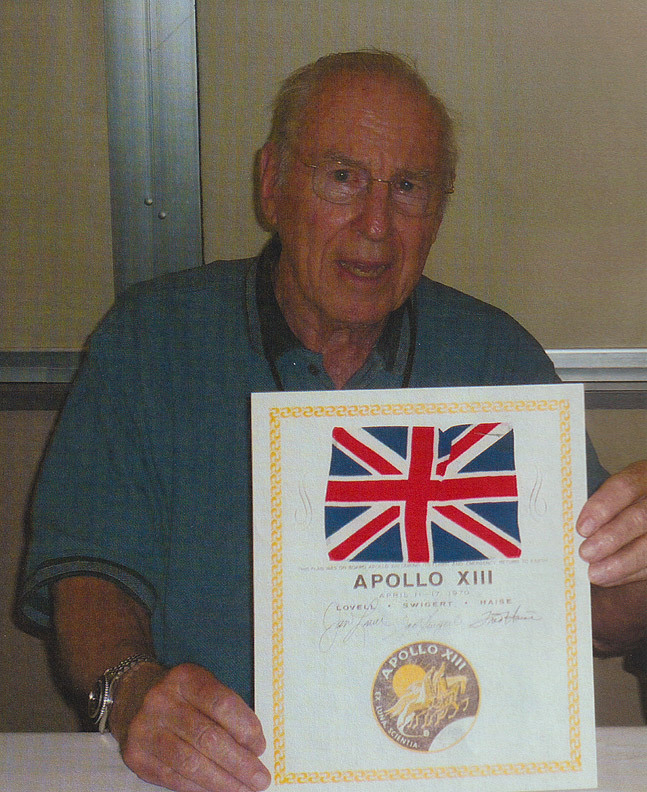 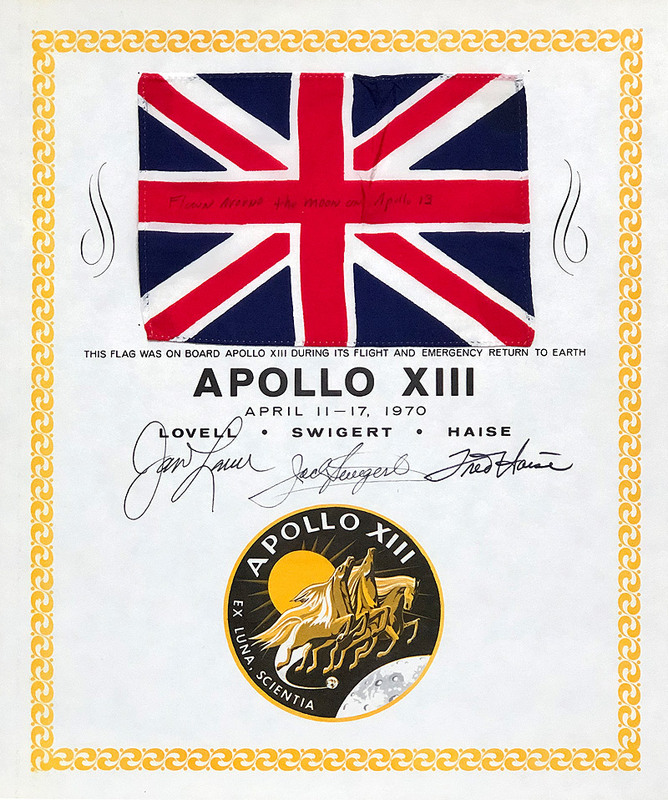 Plus Jim lovell has provided a hand signed COA, "The item listed below was flown on board the Apollo 13 Command Module, Odyssey during it's perilous flight around the moon April 11-17, 1970 - British Flag. 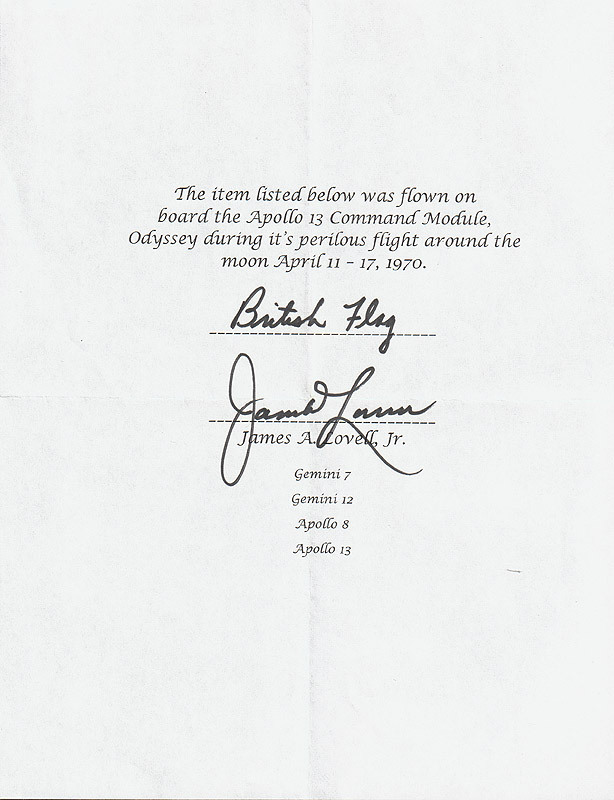 (signature) James A. Lovell jr".